SOLID TOP RUBBER MATS are designed and manufactured keeping commercial flooring and gymnasiums in mind. 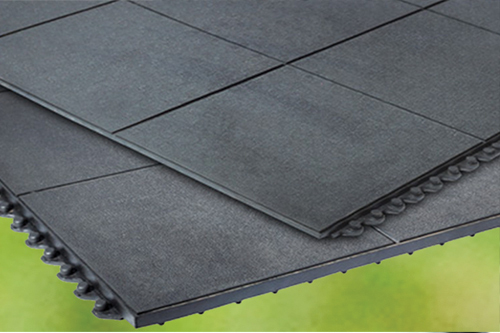 These mats are manufactured with resilient rubber compound and unique bottom for exceptional fatigue relief. Solid top mat is textured with anti-slip surface and is easy to clean. Mats are easy to snap together on site for custom work station platforms. 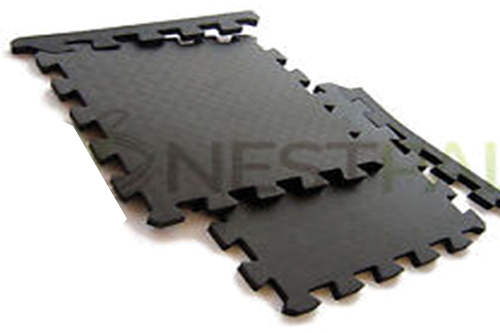 Solid top mats is available in two versions (1) Black resilient compound that is commonly used in Gyms , personal training studios, fitness centers etc (2) mat is available in extra nitrile rubber which is grease proof and is mainly used as work station mats..